Outer Harbor has played host to many world-famous cruise liners over the years, especially after WWII, when there were many migrants coming in from all over Europe. In the early 1970’s, the Government at the time commissioned a new cruise terminal. However, it saw little use for many years, as this time was when international air travel was favoured over cruise shipping. In November 2009, an upgrade of the terminal was completed, providing a new décor to enhance the visitors welcome to the state, and to improve passenger flows inside the terminal. 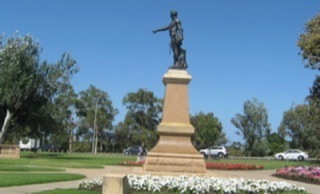 The city is surrounded by parklands also known as the entrance to the outback. It is the only Australian city not settled by convicts. It is the wine growing capital having two areas the Barossa Valley settled by german migration, and a favourite McLaren Vale which is just a 25 minute drive from centre of Adelaide. It is surrounded by beautiful beaches and rolling hills with great wines and food. This would make a wonderful excursion. I am going to take you on a walk and introduce you to my city, Adelaide. 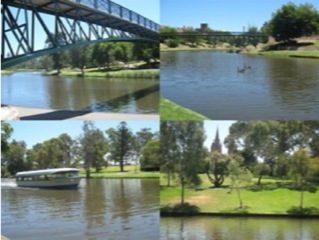 We start at the the River Torrens and can follow it all the way to the downtown shopping area. Ducks and swans join me for a time and Popeye a little river boat passes by on its way to drop visitors at the nearby zoo. Funi and Wang Wang, two giant pandas on loan from China, pass the day munching bamboo and drawing tourists to visit. A fountain spurts skywards and on my left I see the heritage bandstand and the Festival Centre. Adelaide is known as The Festival State and we are lucky to have lots of International productions perform here. Adelaide has an interesting mix of heritage and modern buildings no better example is the Adelaide Convention Centre standing proud on the riverbank. It's wonderful concave window takes in far reaching views including St Peters Cathedral. On it's deck colourful umbrellas invite me to stop and enjoy a glass of South Australian wine from the Barossa Valley which is known worldwide. If I was a visitor I would be planning a stay at one of our International hotels, maybe the Intercontinental which is just next door. Now shops, here I come ! Meet our unique animal and bird life. 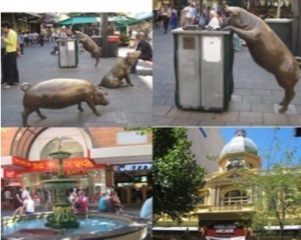 Rundle Mall is the shopping precinct of Adelaide, with no traffic allowed you are free to wander at your leisure among the hundreds of shops and cafes, where you will find anything your heart desires. Looking for souvenir’s, nothing would be better than a toy koala, kangaroo, ugg boots or an Aboriginal artifact. However many tourists choose to buy Haighs chocolates especially giant chocolate frogs. Haighs is found in Adelaide Arcade.This building takes you back in time,it was completed in1885 and was the first business in Australia to have electric lighting . The tessellated tiled floor and heritage lighting makes it a sight to see, a nice spot for a coffee and to soak in the ambiance. We go now to meet four residents of the mall Oliver, Augusta, Horatio and Truffles these four bronze sculptures bring a smile to all faces, especially Oliver with his nose in a bin. Further down we cross into Rundle Street this is the city entertainment area theatres, cafes and international designer stores are here. This area is open until late and adds excitement to the city. People take advantage of our Mediterranean climate and the footpaths are filled with diners. Now, off to Adelaides cultural precinct….. North Terrace. North Terrace is just a five minute walk from Rundle Mall. A wide boulevard lined with trees and heritage buildings, it has been likened to a smaller but just as beautiful, Champs -Elysees. Most buildings feature mellow sandstone quarried locally, all featuring arches ,turrets, and stained glass. The Art Gallery is here and I notice Turner From The Tate is on show .Also further along you will find the Museum, the Library, Parliament House, Government House, University buildings, Railway Station and the elegant Casino. You just have to stop when passing and pay respect at the War Memorial to remember those brave men who gave their lives for us. Time for me to leave, If I was a tourist I would check into one of our five star hotels on North Terrace and plan my next day,it could be a trip to the Barossa Valley or Southern Vales wine areas, South Australian wine is recognised world wide or, I could take a ferry to Kangaroo Island where the wildlife is remarkable, seals lie about in the sun, pelicans ,koalas, and all forms of wildlife are in their natural habitat. Happy Traveling. Rundle Mall, in the heart of Adelaide, is great for shopping, featuring over 600 retail outlets including major department stores, as well as little boutique shops, cafes, and souvenir shops. There are often buskers and street performers throughout Rundle Mall as well. 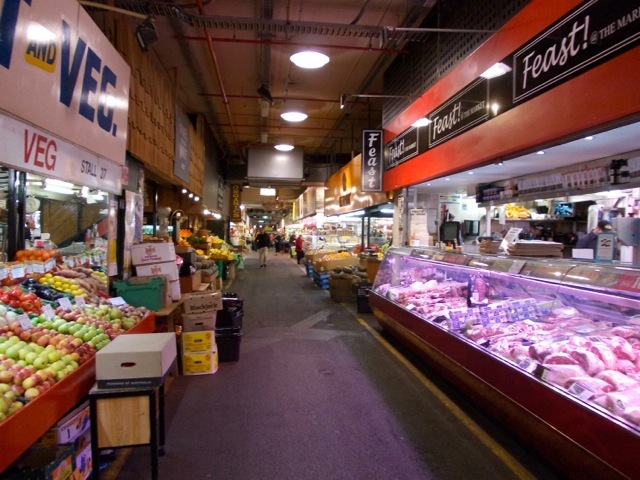 The Central Market offers a wide range of local produce. 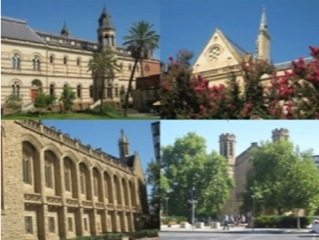 North Terrace is also home to the South Australian Museum and Art Gallery, (around a 5-10 minute walk from Adelaide Railway Station), and both offer free entry and are open daily. 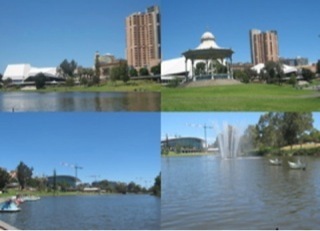 Adelaide skyline, Elder Park and Torrens River. Getting around Adelaide is easy with public transport. There is a free “City-Loop” bus running every 20 minutes seven days a week. 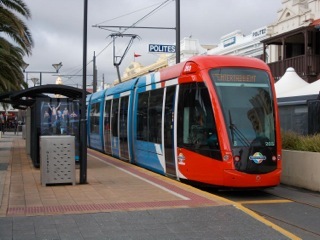 The tram is free throughout the CBD, however a ticket is required if you are travelling further (ie to Glenelg Beach). If you are planning on catching public transport while in Adelaide (plus to and from the ship), a day-trip ticket is recommended ($9.40) otherwise, single trip tickets can be purchased ($5.00 all times, or $3.10 between 9:01am to 3pm), which are valid for 2 hours from time of first validation, and work on all Adelaide Metro buses, trains and trams. Tickets can be purchased onboard the train or tram. Taxis are also available from the wharf for passengers wishing to do their own thing. Some cruise lines may offer a free shuttle bus service for passengers to transport them between the ship and the city (drop off point is normally near the Rundle Mall shopping precinct, however this may vary by cruise line). The Adelaide City Council offers FREE bicycle hire throughout the city. To hire a bicycle, all you need is your passport or driver's licence, which will be held as a deposit, and returned to you when you return your bike to the point of hire. You can hire bikes from various locations around the city including the Adelaide Council office in Pirie St, or the Convention Centre on North Terrace. They are only available during the day, but unavailable when the forecast temperature for Adelaide is 38 degrees Celcius or above. Adelaide is also home to the only guided busway track in the southern hemisphere – the Adelaide O-Bahn. Specially equipped buses travel at speeds up to 100km/h along the busway, from North Adelaide to the Tea Tree Plaza shopping centre at Modbury, in the north-east suburbs. The 12km journey on the track can be completed in as little as 10 minutes on an express service, however, the average journey is around 20 minutes. Only a 45 minute tram ride from the Adelaide Railway Station, Jetty Road at Glenelg Beach is also lined with shops and cafes. Average temperature: As cruise ships normally visit Adelaide in the Summer season (November-March), the daytime temperature can easily reach the mid to high 30°C’s, sometimes even up to the low 40°C’s, but not very often. The temperature normally averages in the high 20°C’s. THE ONLY STATE IN AUSTRALIA NOT SETTLED BY CONVICTS. A PLANNED CITY SURROUNDED BY PARK LANDS. HAS THE CLOSEST ACCESSIBLE BEACHES OF ANY AUSTRALIAN CAPITAL CITY. IS THE OPAL CAPITAL OF THE WORLD. 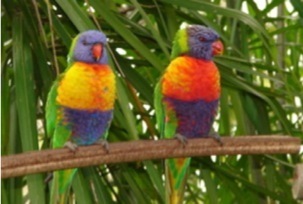 IS HOME TO ADELAIDE FESTIVAL OF ARTS AND FRINGE FESTIVAL. VOTED MOST LIVABLE CITY IN AUSTRALIA FOR THE THIRD CONSECUTIVE YEAR. COLONEL WILLIAM LIGHT PROUDLY POINTING TO THE CITY HE PLANNED.